Completed for the sum of £82,438. 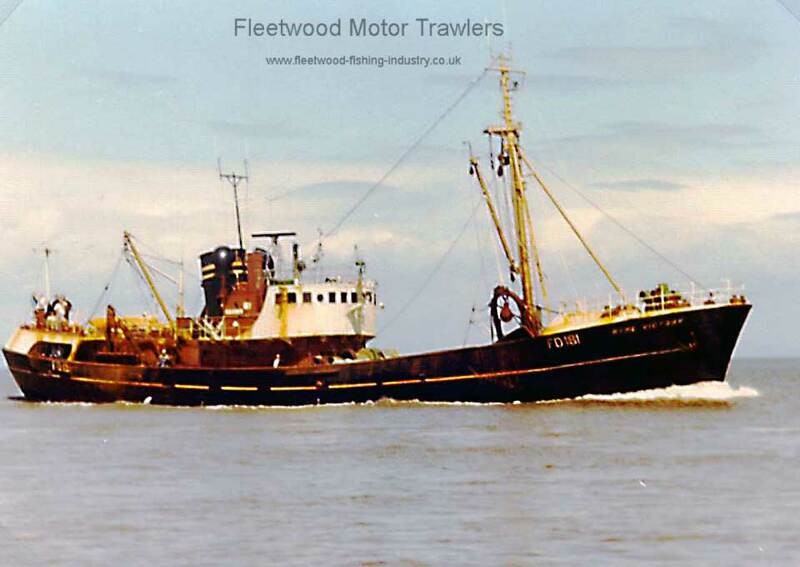 4.6.1951: Launched by Cook, Welton & Gemmell Ltd, Beverley (Yd.No.839) for J. Marr & Son Ltd, Fleetwood as VELIA. 31.10.1952: Completed. Delay caused by late delivery of engine. 3.11.1952: Registered at Hull (H239). Geoffrey Edwards Marr appointed manager. 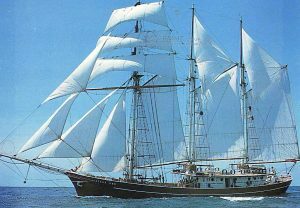 5.11.1952: Sailed Hull on first trip (Sk. Charles Pennington), fishing round to land at Fleetwood. Landed 770 kits, including 400 kits of coley, £3,229 gross. 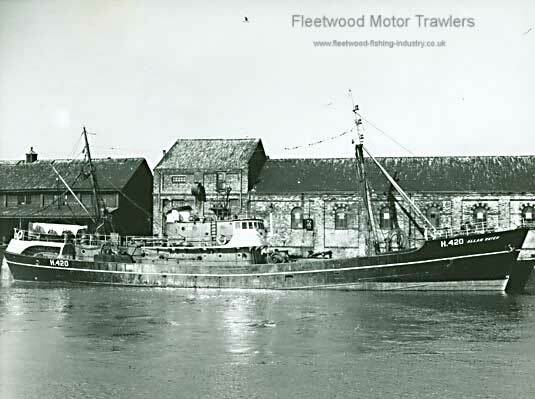 12.11.1952: Registered at Fleetwood (FD116). 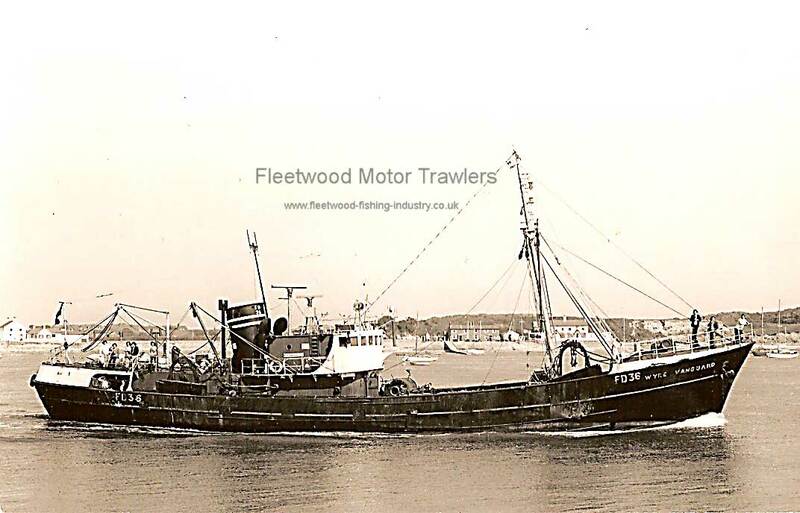 At Fleetwood landed 770 kits, 400 coley, £3,229 gross. 1959/60: Lengthened by Humber St. Andrew’s Engineering Co Ltd, Hull to 131.0 feet. Remeasured 317g 108n. 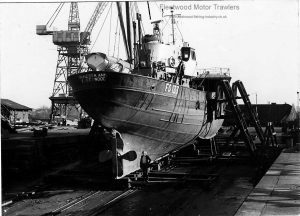 26.4.1960: Registered anew following alterations to particulars after lengthening by Humber St. Andrew’s Engineering Co Ltd, Hull to 131.0 feet. Remeasured 317g 108n. 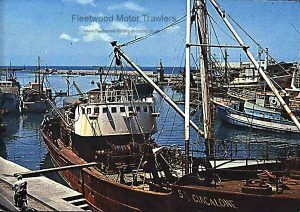 1963: Sold to Ocean Pesca S.r.l, Mazara del Vallo, Sicily for the sum of £51,000. 1963: Engine re-rated 772bhp later quoted 780bhp. 7.1963: Registered at Trapani as SALVATORE GIACOLONE. 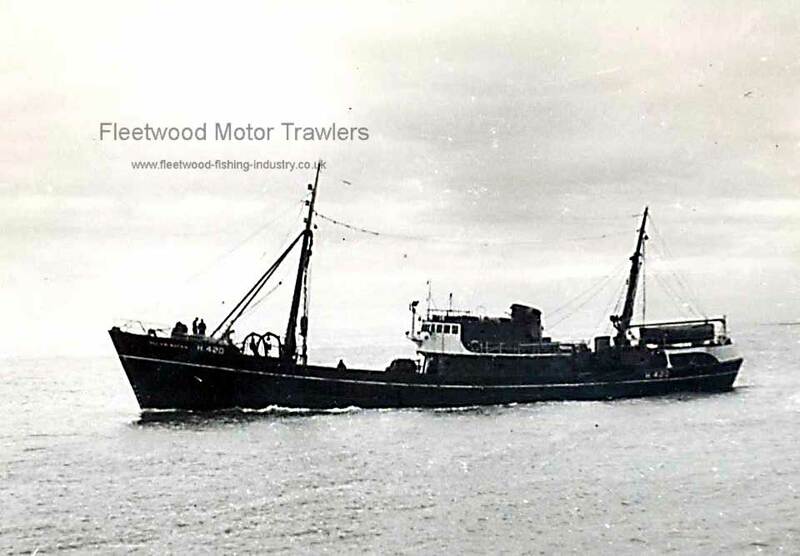 17.7.1963: Sailed Fleetwood for Mediterranean. 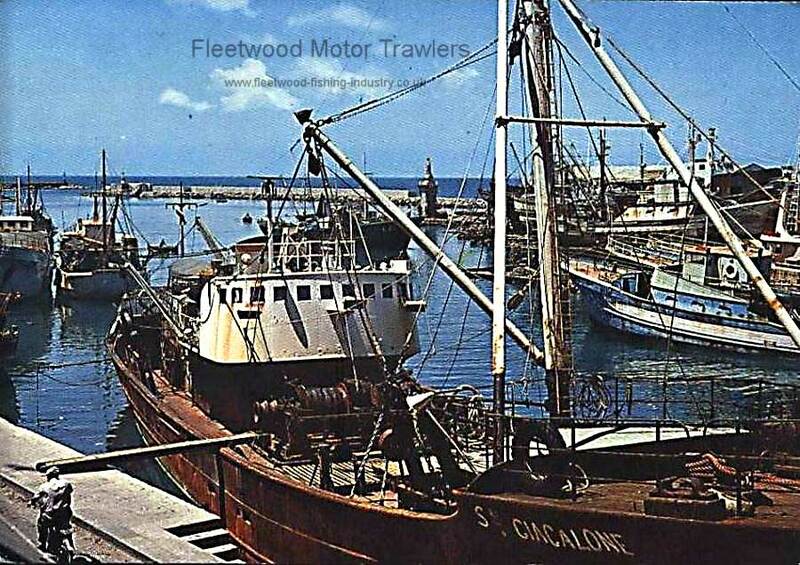 1965: Sold to Salvatore Giacalone fu Pietro, Mazara del Vallo, Sicily. Note. Name later painted up as S. GIACALONE. 19/07/2017: Information updated and FMHT watermarks removed. 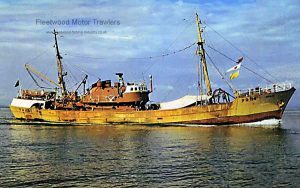 This entry was posted in Marr, Motor Trawler on 26th September 2016 by Howard Small. 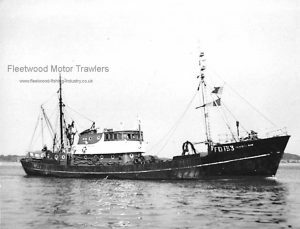 22.08.1952: Completed by Cook, Welton & Gemmell Ltd, Beverley (Yd.No.830) for St Andrew’s Steam Fishing Co Ltd, Hull as PRINCESS ANNE. Registered at Hull (H268). 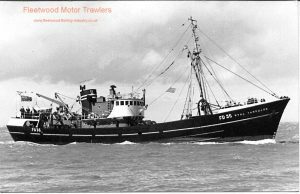 08.05.1954: Sold to Pecheries de la Marine, Bolougne, France and renamed ST JUST (B 2672). 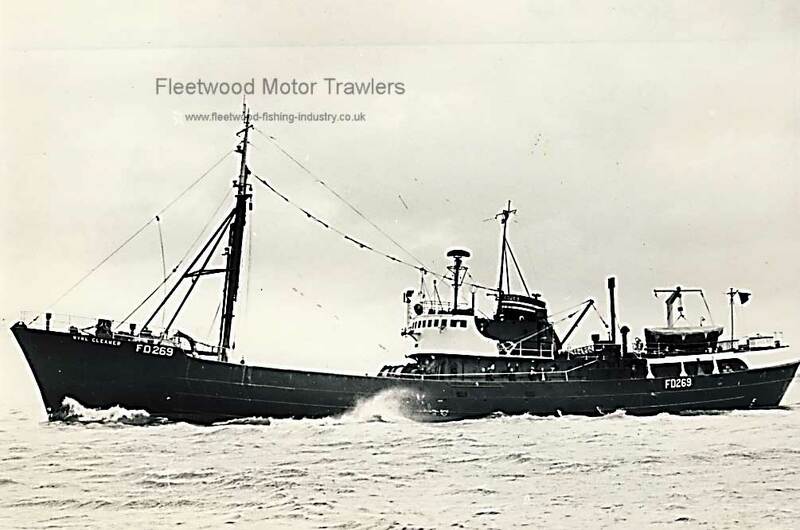 17.03.1967: Sold to Wyre Trawlers, Fleetwood and renamed WYRE GLEANER. Registered at Fleetwood (FD269). 06.1976: Sold to Stanley Ferry Dismantlers Ltd, Hayle site for demolition. 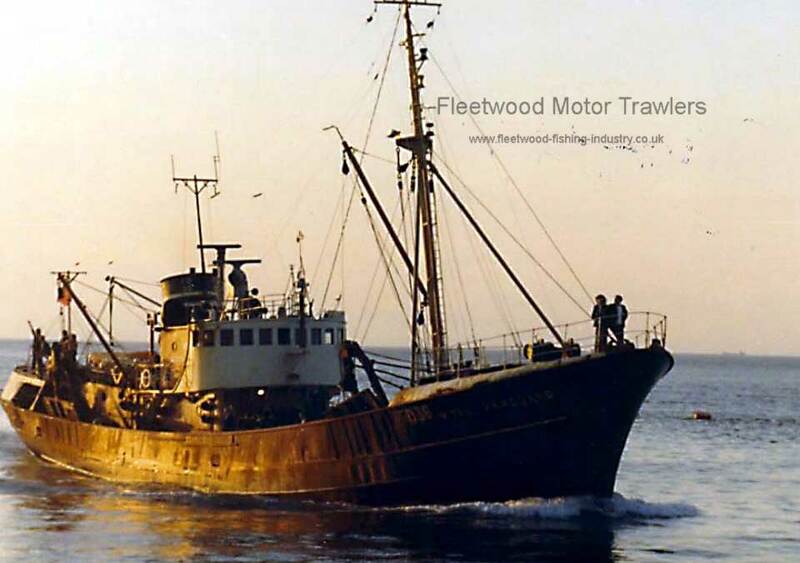 24.07.1976: Sailed Fleetwood for Hayle. 17/07/2017: Added 2 images and removed FMHT watermark. 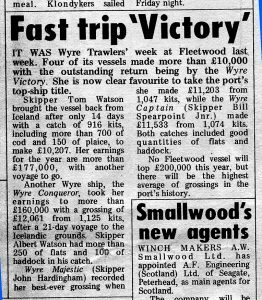 This entry was posted in Motor Trawler, St. Andrews SFC, Wyre Trawlers on 25th September 2016 by Howard Small. 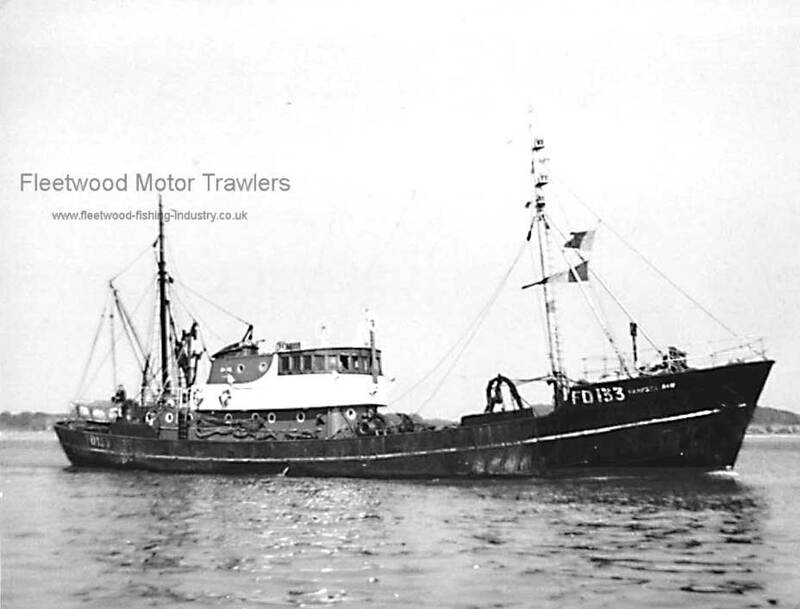 26.09.1946: Launched by Cooke, Welton & Gemmell Ltd, Beverley (Yd.No.777) for The Great Western Fishing Co Ltd, Aberdeen, as ALLAN WATER. 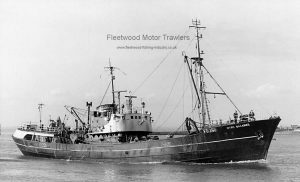 28.03.1947: Registered at Hull (H420). 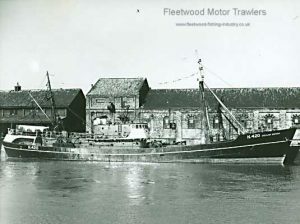 28.03.1947: Basil A. Parkes, Fleetwood appointed manager. 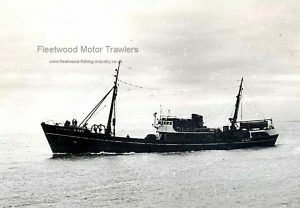 08.1948: Sold to N.V. Visscherijonderneming de VEM, IJmuiden, Holland (MoT ref: G.S.P.8762 dated16.07.1948). 11.08.1948: Hull registry closed. 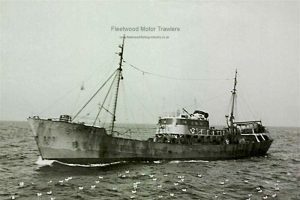 Registered at IJmuiden (IJM34). 1954: Re-engined with a 6-cyl 4SA oil engine by WUMAG-Krupp, Görlitz, engine made 1941 (U-boat design). 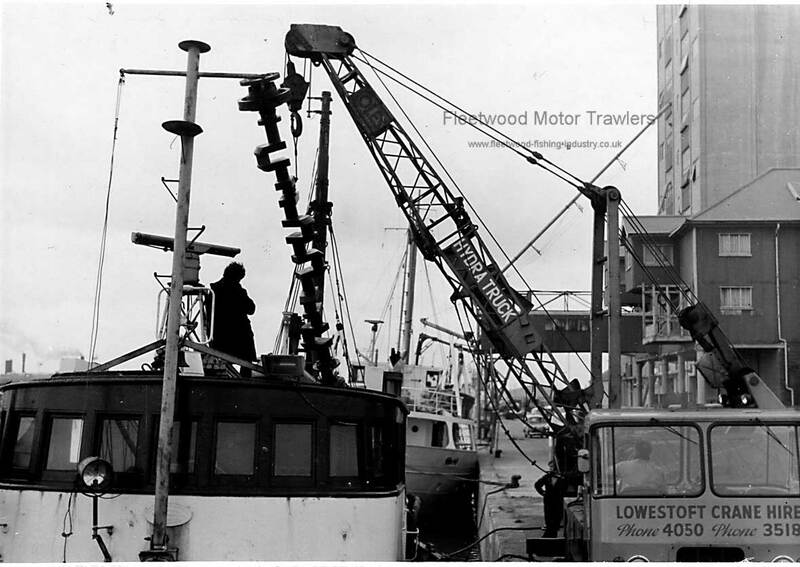 12.01.1960: Sold to Visserijonderneming v/h J.C. Pronk, IJmuiden. Last skipper out of IJmuiden before lay up, Dirk Roeleveld. 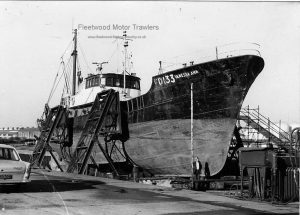 1964: Laid up at IJmuiden with engine problems. 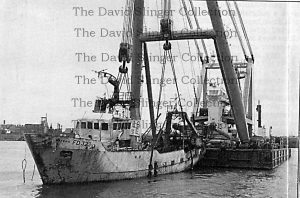 1964: Sold in an en bloc deal with motor trawler THORINA (IJM33) to Claridge Trawlers Ltd, Lowestoft (J. Leggett manager). Engine was started but found to have camshaft housing fractured. 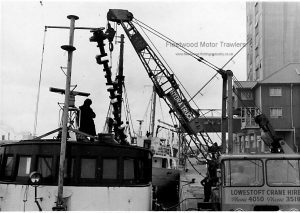 21.08.1964: Arrived Lowestoft from IJmuiden in tow of THORINA. Laid up pending outfitting and re-engining. WUMAG-Krupp engine used for spares for ST. GEORGES. 21.12.1964: UK Register opened and sanctioned to rename ST. DAVIDS (LT494). 11.1965: Re-engined with a 4-cyl 1100bhp (derated to 954bhp) 4SA oil engine by Ruston & Hornsby Ltd, Lincoln. 01.1966: Sailed on first trip from Lowestoft (Sk. Billy Hitter). 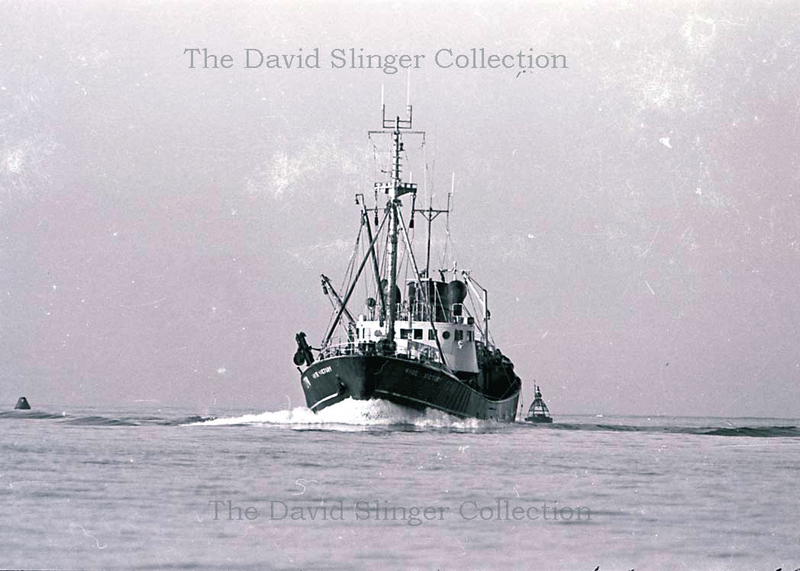 09.05.1966: Registered at Lowestoft as ST. DAVIDS (LT494). 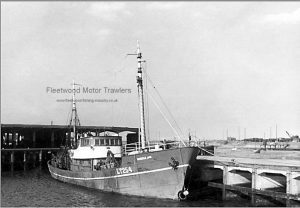 10.1966: First Lowestoft vessel to gross £4,000 (Sk. Billy Hitter). 1967: First Lowestoft vessel to gross £5,000 and second highest earning Lowestoft vessel, £62,710 (Sk. Billy Hitter). 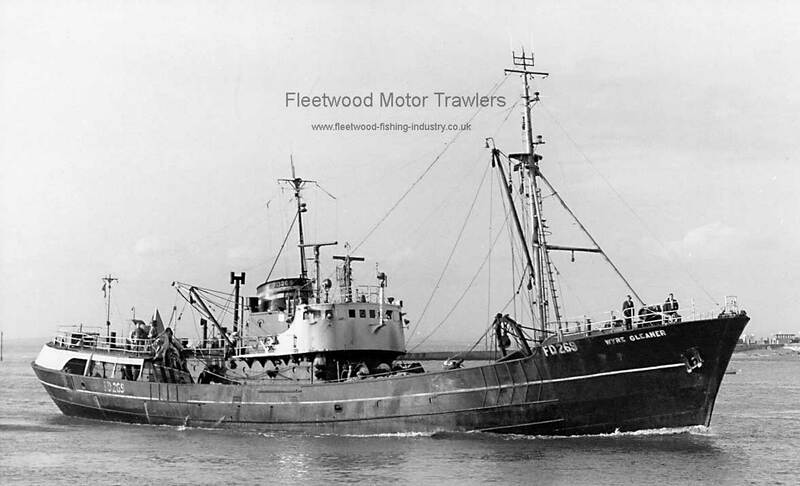 06.1980: Sold to Romford Steel Supplies Ltd, Romford, Essex for breaking up. 15.07.1980: Sold on to Medway Secondary Metals Ltd, Rainham, Kent. 09.1980: Sailed Lowestoft for Medway. 05.01.1981: Breaking began at Bloors Wharf, Rainham. 2?.01.1981: Lowestoft registry closed, vessel broken up. 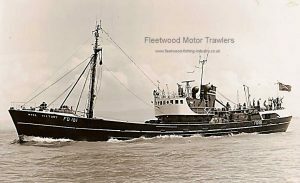 This entry was posted in GWF Fishing, Motor Trawler on 25th September 2016 by Howard Small. 1959: Completed by Cook, Welton & Gemmell Ltd, Beverley (Yd. No. 951) for Wyre Trawlers Ltd, Fleetwood as WYRE VICTORY. 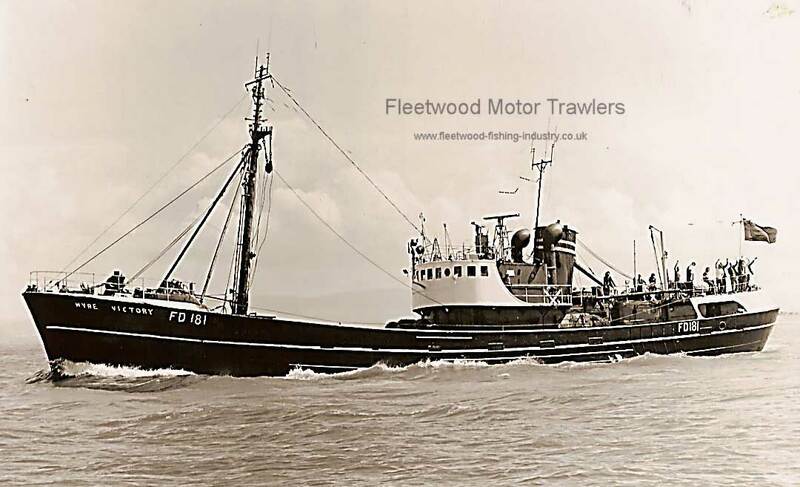 Registered at Fleetwood (FD181). 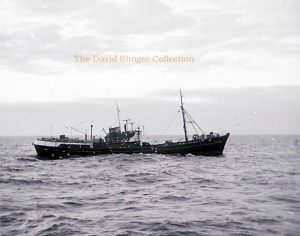 17.12.1971: On an Iceland trip landed 916 kits of fish for 14 days (Sk. Tom Watson). Catch included 700 kits of cod and 150 of plaice for £10,207. 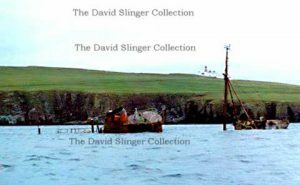 14.01.1976: Outward bound for Iceland vessel grounded on submerged reef at Mill Rocks, west of the Isle of Rhum in the Inner Hebrides. At 6:45 Oban radio received a distress message stating that she had struck Mill Rocks to the SW of Oigh Sgeir Lighthouse (between Barra and Rum), and was badly holed forward and making water fast. At 07:14 the ferry IONA picked up a liferaft with the crew on board. 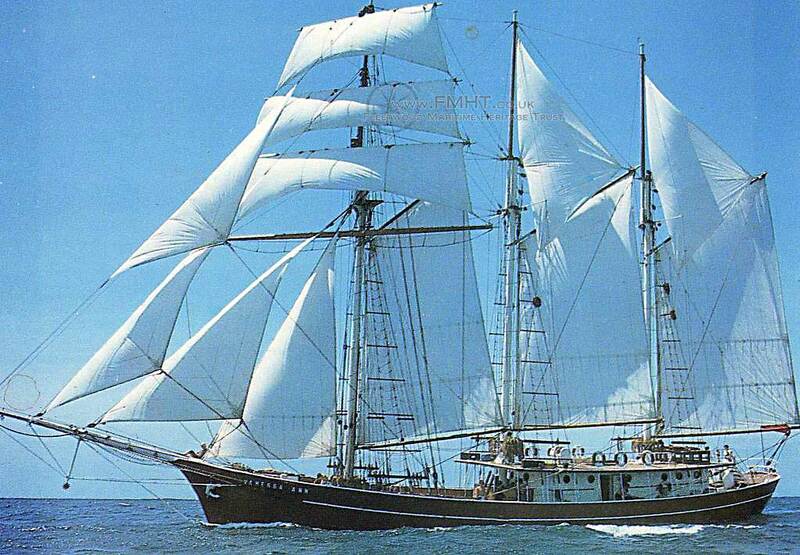 The skipper and the radio operator stayed with the stricken vessel. 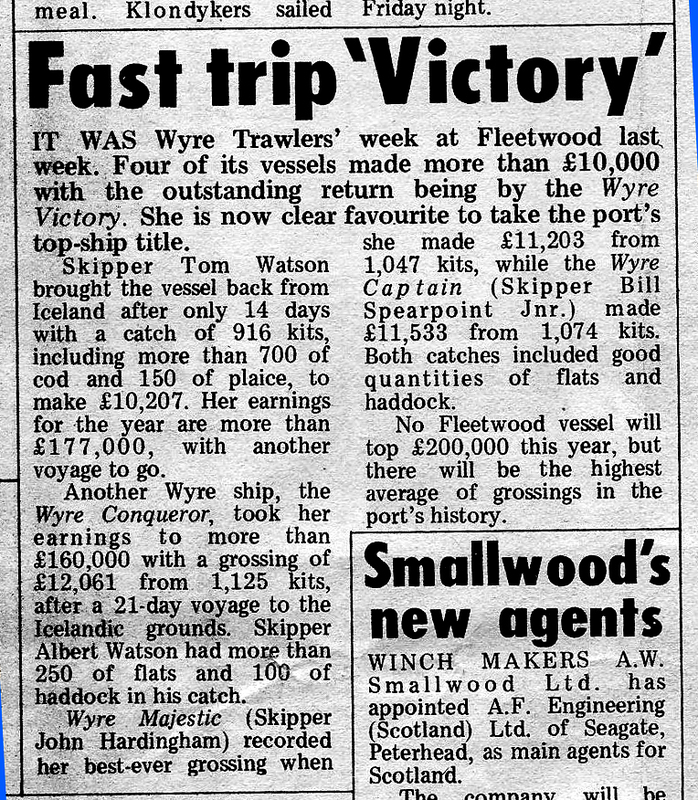 WYRE VICTORY’S sister ship, WYRE CONQUEROR, responded to her distress call and floated 3 liferafts across to her. At 07:22 Oban was advised that the wreck had been abandoned but had drifted off the rocks. WYRE CONQUEROR hoped to tow her to Canna but, after drifting with the tide, WYRE VICTORY sank. 05/04/2017: Added image and removed FMHT logo. 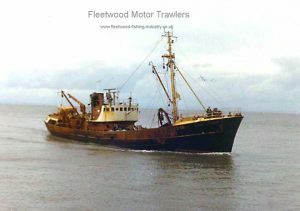 This entry was posted in Lost, Motor Trawler, Wyre Trawlers on 25th September 2016 by Howard Small. 05.12.1975: Launched Beverley Shipbuilding & Engineering Co Ltd, Beverley (Yd.No.1564) for J. Marr & Son Ltd, Fleetwood as NAVENA. 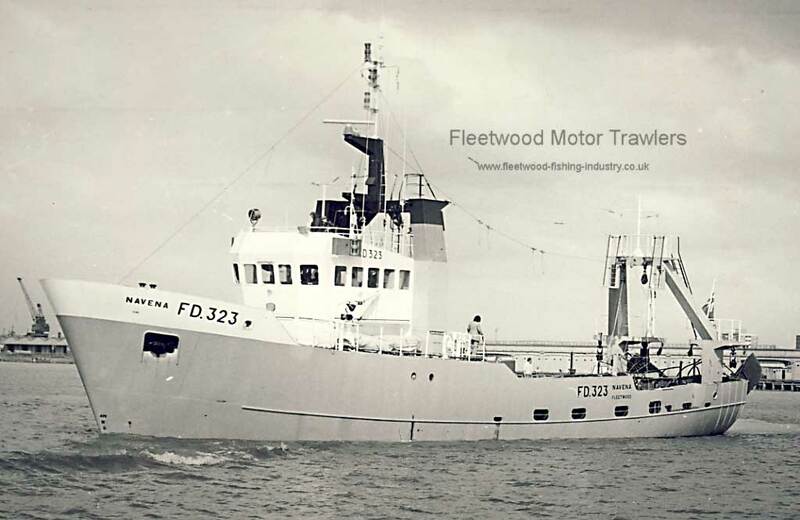 02.07.1976: Registered at Fleetwood (FD323). 01.1984: Landed at Aberdeen. 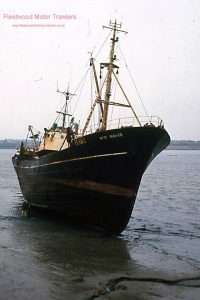 Struck quay on sailing for Hull (Sk. Jeffrey Sumner); eleven crew. 26.01.1984: In severe weather off Flamborough Head started to take in water forward and developed a starboard list due to flooding of factory deck. 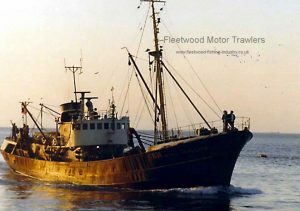 Fearing that the trawler would capsize a distress call was sent and crew look to liferafts but skipper remained onboard to direct the rescue. Liferaft capsized and all crew picked up from the water by RAF helicopter. Sk. Sumner later picked up by helicopter. 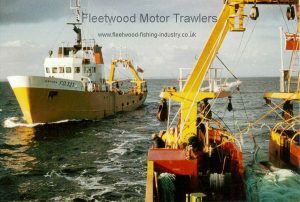 Hull tug YORKSHIREMAN (686gt/1978) engaged to take trawler in tow but in the meantime three Scarborough fishing vessels connected claiming salvage and CASSAMANDA (SH128) (49grt) commenced tow to Scarborough. 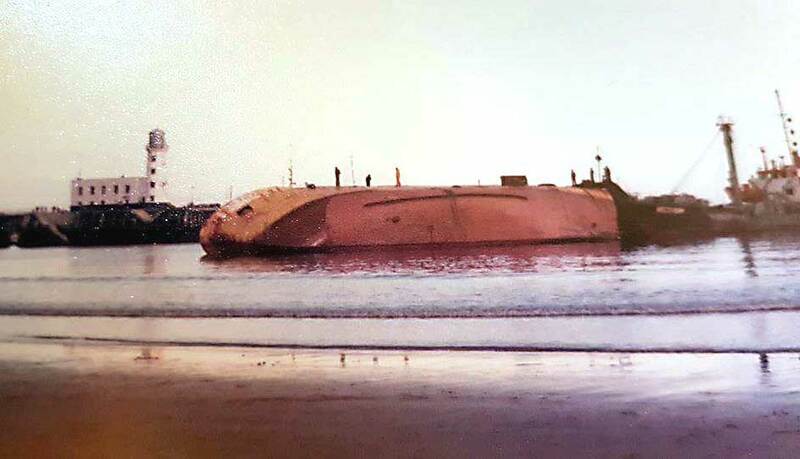 27.01.1984: Having been refused entry to harbour and directed to beach the vessel, put ashore south of the harbour and later capsized. 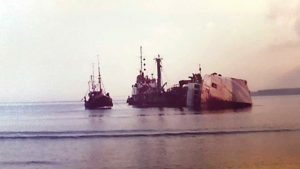 Abandoned to the underwriters and United Towing Ltd, Hull engaged to refloat. 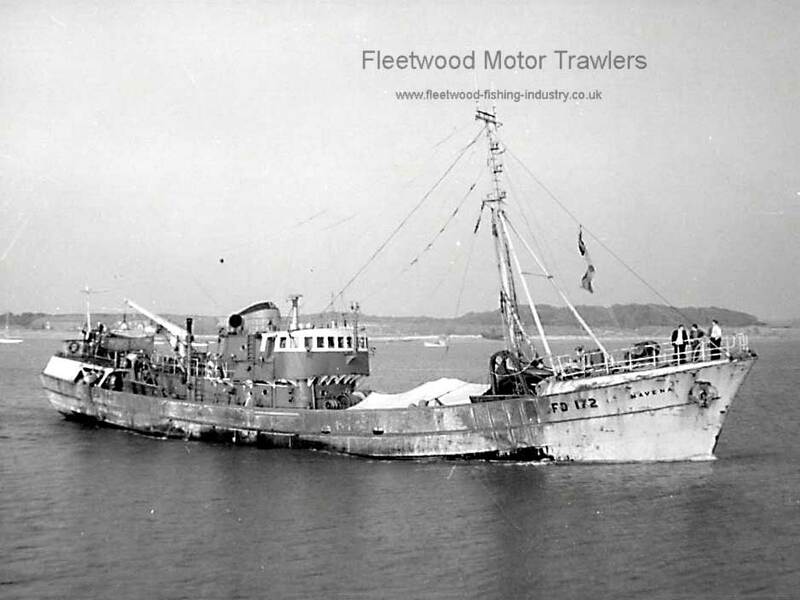 Attended by salvage ship RECOVERY (484grt/1942), leak in engineroom sealed and loose gear removed. 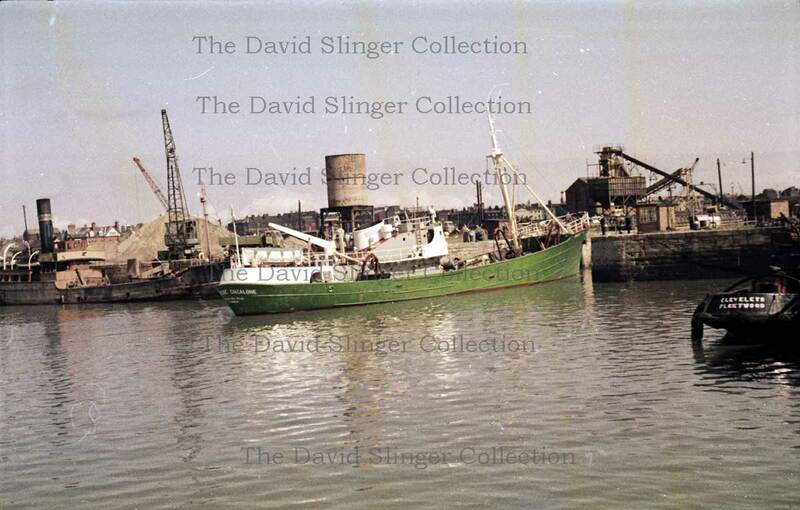 03.1984: On spring tide failed to refloat and United withdrew following expiry of fixed term contract. Humber Diving Co, Hull engaged to refloat. 24/25.03.1984: Again failed to refloat on spring tide. Vessel now on her beam ends on beach. 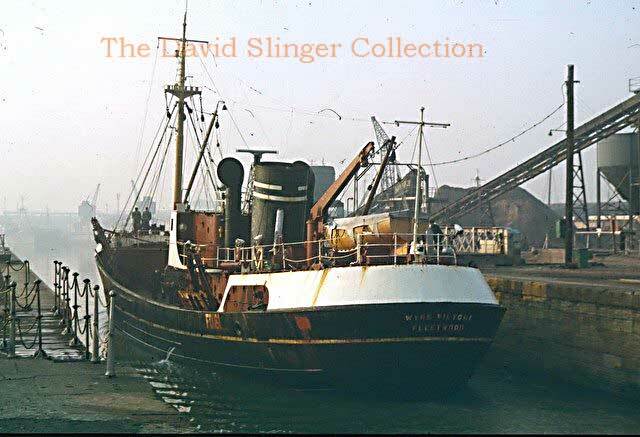 04.1984: Sold by the underwriters to Rayner Shipping Ltd, Bradford. 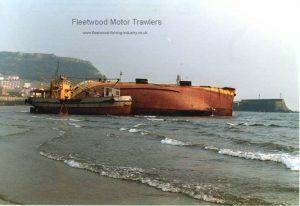 Late 04.1984: Scarborough Council took possession of the wreck i.a.w. Merchant Shipping Act 1894. 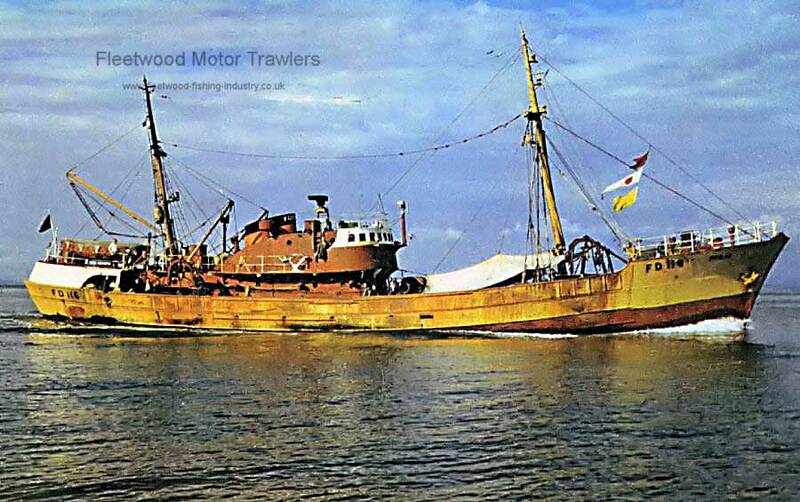 Hopper dredger SKARTHI (112grt/1952) beached alongside. 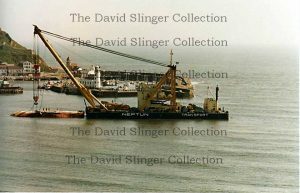 Salvage company Neptun Salvage & Marine G.m.b.H, Hamburg engaged to refloat and deliver Middlesbrough. 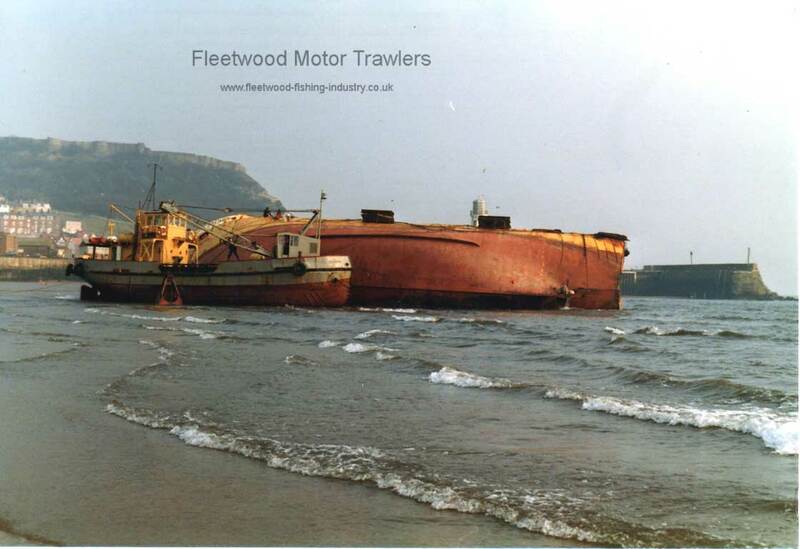 23.05.1984: Fleetwood registry closed “Total Loss”. 25.05.1984: Salved by floating sheerlegs HEBELIFT 3 (3528grt/1976). 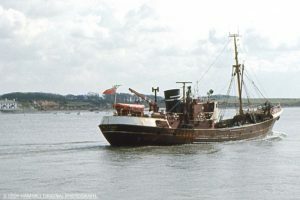 27.05.1984: Sailed Scarborough for Tees suspended from sheerlegs towed by tug ERLAND (309grt/1974). 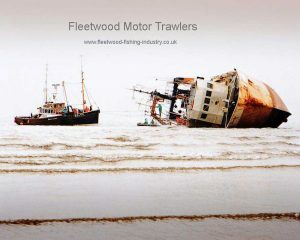 Slipped by Marine Partners Ltd, Middlesbrough for survey. Declared a Constructive Total Loss, unslipped and beached. 1984: Sold to Cherry Marine Ltd, Middlesbrough. 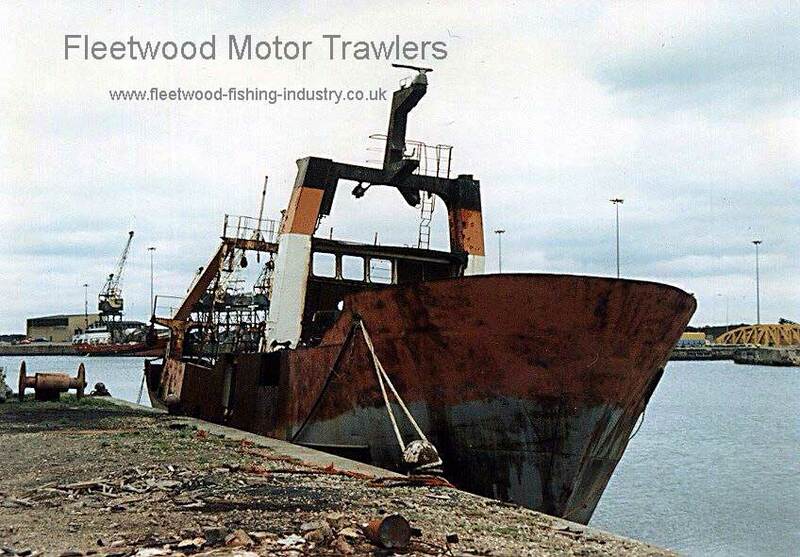 1985: Sold to S & S Sunderland Marine Ltd, Sunderland for possible repair. 07.03.1985: Refloated by tug CHERRY (62grt/1963). 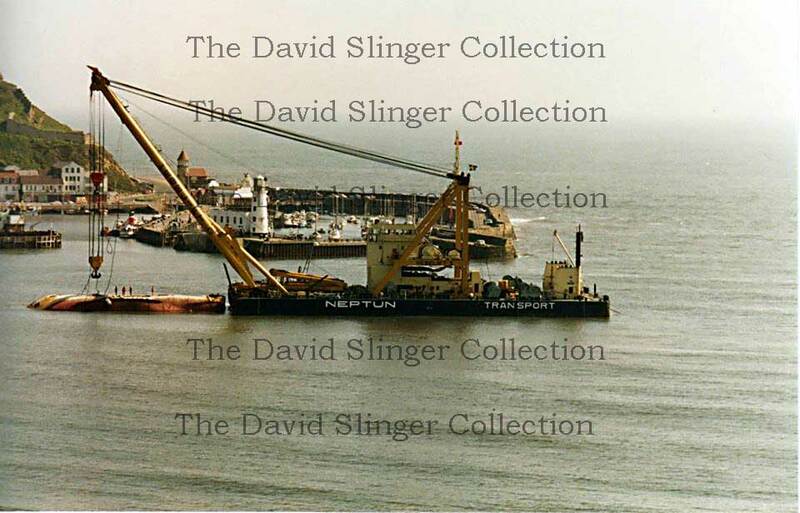 18.03.1985: Sailed Tees for Sunderland in tow of tug CHERRY. At Sunderland docked to assess work involved in rebuild. Work commenced on machinery and removal of damaged steelwork. Late 1985: Re-assessed. As vessel no longer registered, repairs would have to be in accordance with latest rules and specifications; project considered to be uneconomical. Laid up in South Docks. 05.1991: In process of being broken up at Sunderland. 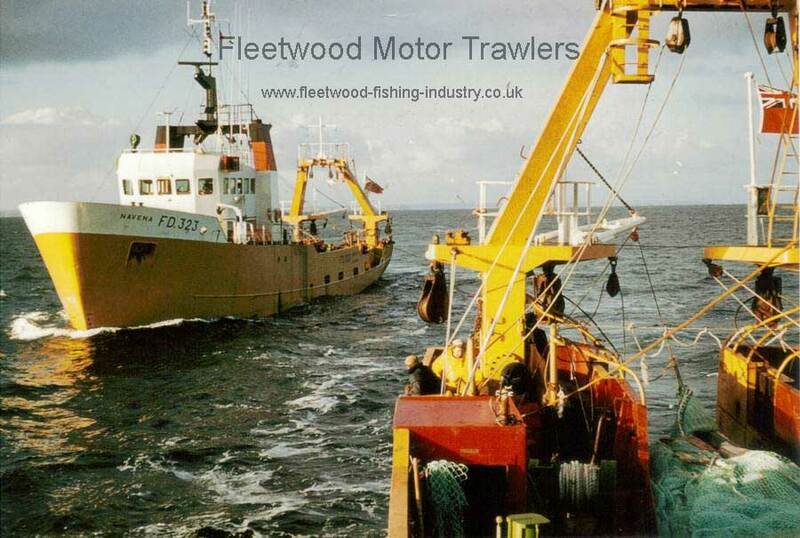 Crew members from Fleetwood and Poulton who where aboard Navena when she was stranded at Scarborough. The three skippers were working in the approximate vicinity of NAVENA when the crew abandoned ship and the three took her skipper off before taking her in tow. 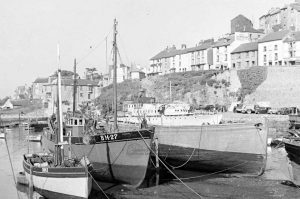 The saga turned sour at the entrance to the port when the harbour master told them not to bring her into the harbour as intended. 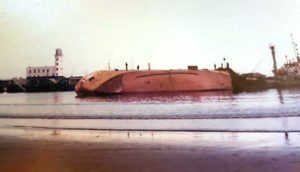 Instead he told them to beach her being mindful that she could have sunk in the harbour mouth. In giving this instruction he cost the would be salvors about £300k each but the decision also put the onus onto the local authority thus costing the ratepayer £150k to get her lifted off by the giant shearlegs from Holland, after several failed attempts using other methods. There was no loss of life and something that is generally overlooked, but the crew were glad to be off her as they had to be picked from the sea after the liferaft capsized. 24/09/2016: Page re-published due to site problems. 26/11/2017: Removed FMHT watermarks and added an image. This entry was posted in Lost, Marr, Motor Trawler on 24th September 2016 by Howard Small. 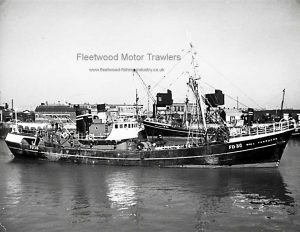 1958: Launched by Cochrane & Sons Ltd, Selby as NAVENA for J Marr & Son Ltd, Fleetwood. 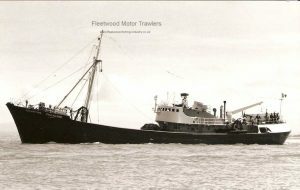 First Marr trawler fitted with a variable pitch propeller, and first Fleetwood trawler with a transom stern. 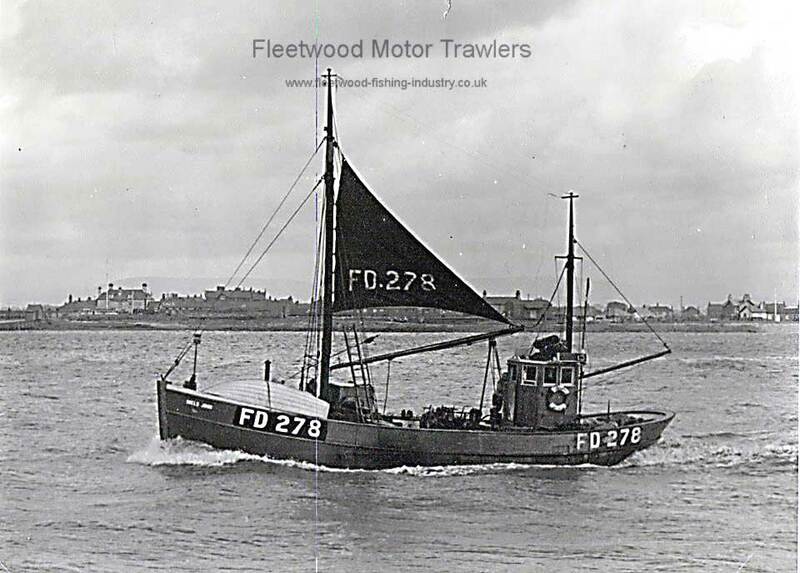 21.05.1959: Registered at Fleetwood (FD172). 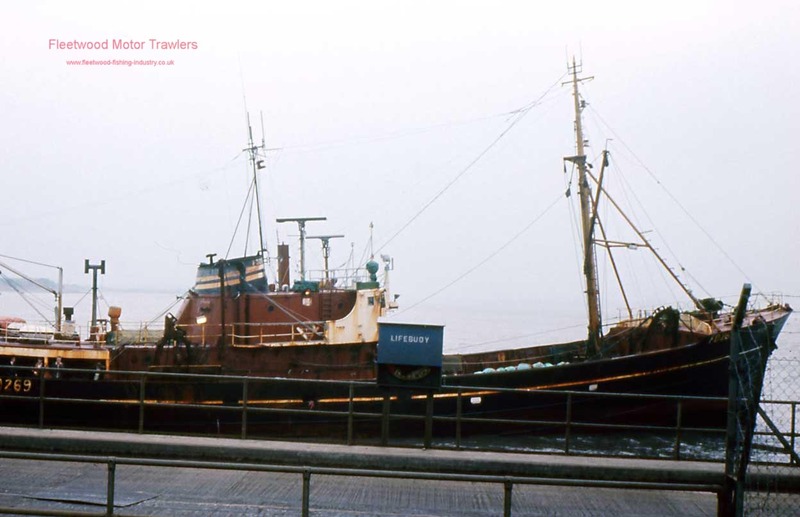 28.01.1969: Transferred to P & J Johnson, Aberdeen (FD172). 02.01.1977: Sold to J Marr (Aberdeen) Ltd (FD172). 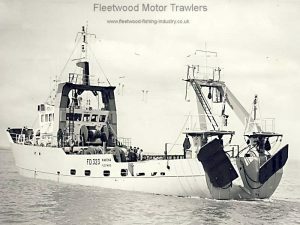 05.12.1973: Sailed from Aberdeen at 09:30 hours for the fishing grounds of the Faroes under the command of skipper James Clark. 06.12.1973: At 06:12 in the morning a mayday call was reported by Wick radio. 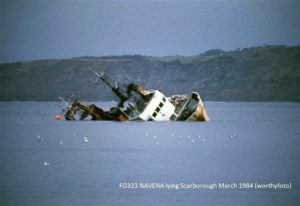 NAVENA had been driven ashore in severe weather and was hard aground on the Orkneys, at Copinsay. Three other vessels, GLEN AFFRIC, BOUNTIFUL and COASTAL EXPRESS tried to reach her but they were some way off. 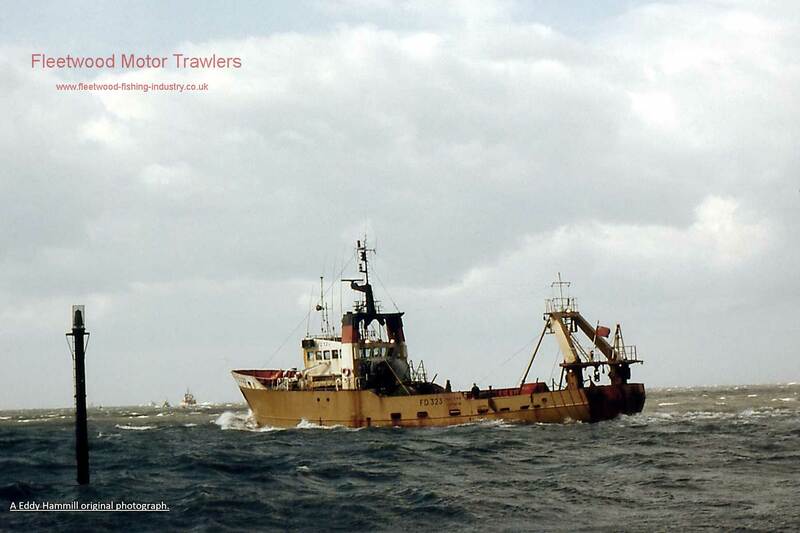 Kirkwall lifeboat reported that the trawler was in a critical position with only the wheelhouse above water. 20 men from the Deerness Coastguard Rescue team were in sight of the vessel but the wind prevented them from getting a rocket line aboard. Because of this, and despite the severe conditions, a Sikorsky BA.S61 was scrambled from Dyce. 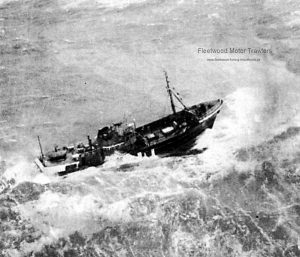 Battling through atrocious conditions the helicopter succeeded in reaching the stricken vessel and found her in a desperate condition. She had been driven beam on against jagged rocks and was in danger of breaking up. The crew of 12 men were huddled inside the wheelhouse waiting for rescue. In a consummate display of flying skills the pilot of the helicopter winched all the crew off in spite of the winds that were gusting in excess of 100mph, a feat that earned the pilot the Board of Trade Rescue Shield for the best rescue involving the saving of life during 1973. All the crew were landed at Kirkwall. 24.09.1948: Arrived at Fleetwood carrying the body of Hans George Petersen, the Danish mate and part owner of the vessel who had been dragged over the side by the trawl and drowned. Sk. Peter Kristensen stopped engine and hauled immediately and found the mate tangled in the warp. He immediately attempted artificial respiration but to no avail. This entry was posted in Inshore Fishing Vessels, Lost on 24th September 2016 by Howard Small. 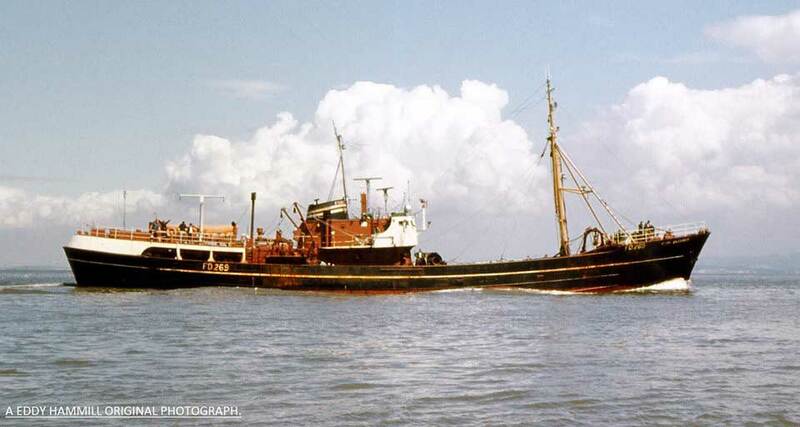 The motor fishing vessel PYGMALION was trawling to the east of the Point of Ayre on the 26th of may 1964. 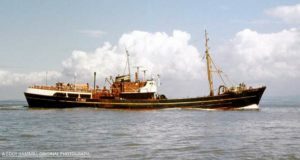 Her skipper was Richard Billington Sumner Around 8:30 am the Calor gas stove exploded as the three man crew was having breakfast, knocking one man unconscious and injuring two others as fire quickly engulfed the vessel. 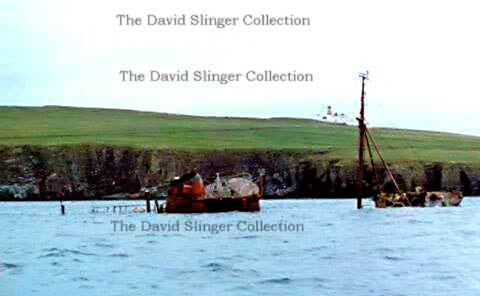 The crew launched the self-inflating liferaft but it didn’t inflate properly.The badly injured crewman was lowered into it by the other two as the Pygmalion sank, some 9 miles east of the Point of Ayre. It was a sunny day and distress rockets would have been of no use so a decision was made to wait until darkness before using them. To make matters worse a coal strike had reduced traffic to and from Whitehaven so no other vessel passed them. 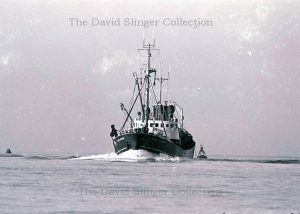 was outbound for the fishing grounds and she spotted the distress rockets and changed course towards the liferaft. Meanwhile the Ramsey lifeboat, ANNIE ROWLAND ISABELLA FORREST, was launched. 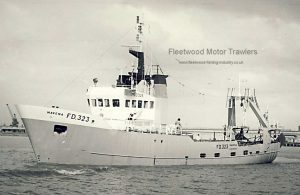 LORRAINE, under the command of Peter Haroldson, reached the liferaft, took the three crewmen aboard and set his course for Ramsey where an ambulance was waiting.